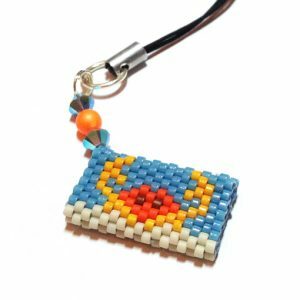 A geometric pendant with extra edge; use peyote stitch, Delicas and CzechMate 2-hole Triangle beads to capture a crystal for this unusual pyramid pendant. 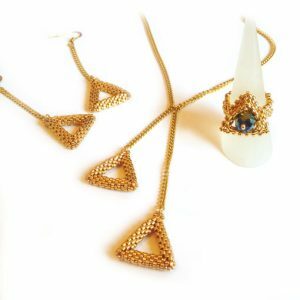 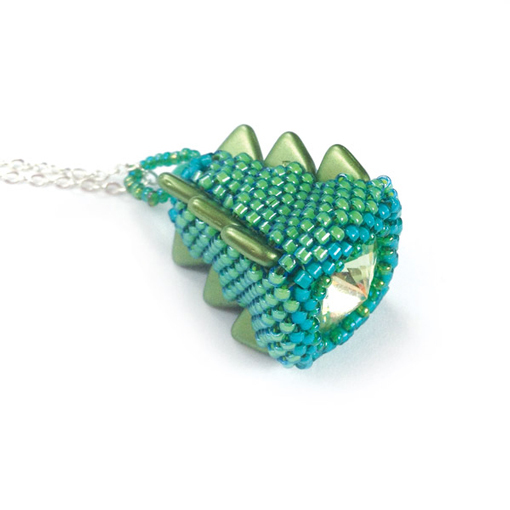 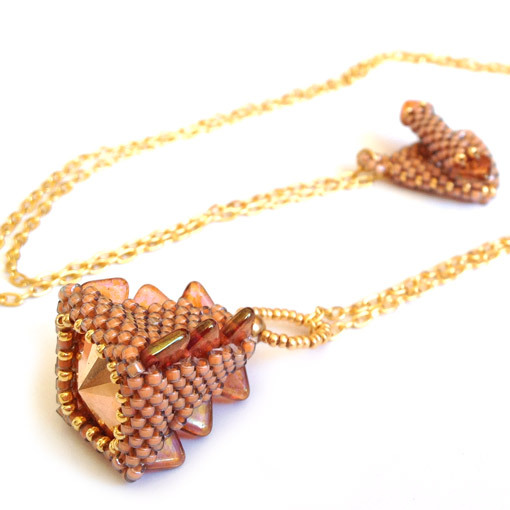 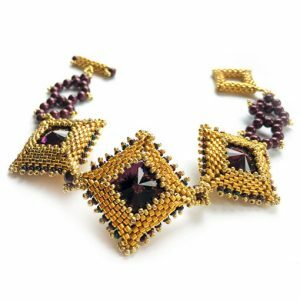 The instructions show you how to create a co-ordinating chain and matching geometric clasp for a dramatic necklace with a hint of the Jurassic. 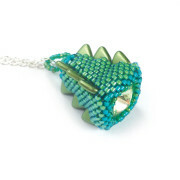 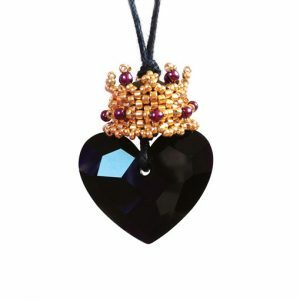 Delightfully quirky pendant! Pattern is clearly written with diagrams and photos. 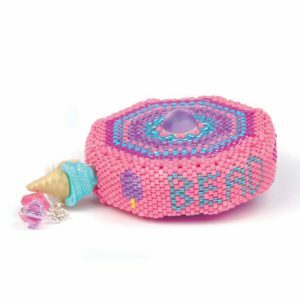 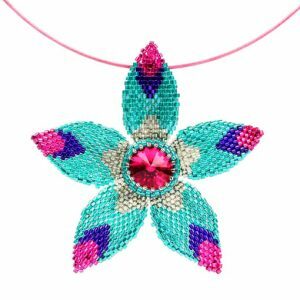 It has helpful suggestion for making necklaces to hang your newly made beaded artwork. 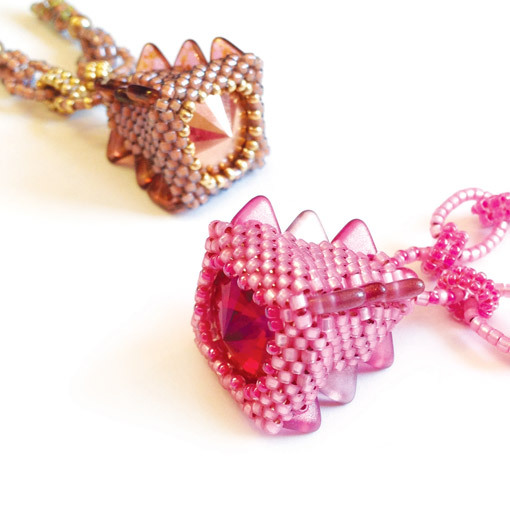 It was such a joy to make that I made two. 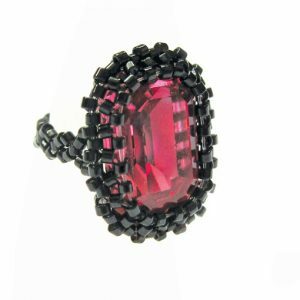 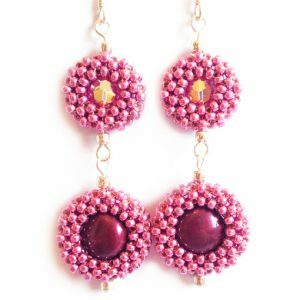 It is great for using your leftover beads from other projects.